UNES provides Financial Management Services to the University’s Income Generating Units which include Immunology, Haematology, Clinical Chemistry, Diagnostic Radiology, Dental Plaza, Chiromo Funeral Parlor, Clinical Studies and Veterinary Farm. We also offer payroll services to external clients. UNES Bookstores offers various products including textbooks, stationery, laptops and computers, branded items, money transfer services and mobile phones to Universities, Colleges, Schools, staff and members of the public in the East African region. 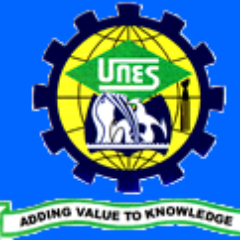 UNES taps the vast human and infrastructural resources of the University of Nairobi to provide Institutional and Research consultancy, Professional Trainings and Product Innovations in several thematic areas that include Architectural, Agricultural & Veterinary, Business Development, Education, Engineering, ICT, Public Health, Water Resource Management and Waste Management. These services are offered under the brand name Arziki Restaurants, which provide food and beverage services, outside catering and conferencing facilities to the University community and the general public. UNES is committed to offer quality products and services in Consultancy, Bookstores, Hospitality and Financial Management that meet its customers’ requirements and endeavour to exceed their expectations. The Management is committed to provide resources to comply with the requirements and continually improve the Quality Management System in line with ISO 9001:2015 Standard. Management shall develop Quality Objectives derived from the Corporate Strategic Plan and the Service Charter. Management shall annually review these objectives for continuing suitability to improve the effectiveness of the Quality Management System. The management shall ensure that the Quality Policy is communicated and understood during Staff Induction and Training. All UNES personnel are required to understand the Goals of the Company and apply the Quality Management System Documentation during products and service delivery. UNES is part and parcel of the University of Nairobi and it is therefore critical that the core values of the University at all times inform those of UNES. As such, the business of UNES is governed by the following core values. Professionalism and Quality Service – In all its actions and interactions, UNES shall maintain ethical behaviour, professional etiquette, care and honesty. UNES shall provide predictable quality services for all round customer satisfaction. The standards enshrined in the Service Charter shall guide the philosophy of the UNES Quality Management System. Innovativeness and Creativity–Innovativeness and creativity shall be the hallmarks of our activities as we initiate and adapt to change. Team Spirit and Teamwork – The tenets of teamwork and team spirit shall be the guiding principles in all UNES operations. UNES shall foster an environment characterized by teamwork.